Answer: Happy hour from 4:30pm to 6:00pm includes $5 wine (red, white, and rose), $5 draft beer, a $5 featured cocktail, and $5 select snacks (at the bar only). Broadway Brewhouse (Midtown): Happy hour from 11:00am to 6:00pm includes 2-for-1 Pickers Bloody Marys. Casa de Montecristo: Happy hour from 3:00pm to 7:00pm includes $9 select craft cocktails, $4 select craft beers, $8 select wines, $4-$8 Cigar of the Month, and $19.95 select featured cigar FourPAK. City Fire: Happy hour from 3:00pm to 6:00pm includes $3 domestic bottles, $4 house wine, $5 call cocktails, $5 all draft beer, and $6 Adobo hummus, guacamole, and sizzle chips. Bottles of champagne are $12 until 3:00pm. Double Dogs (Hillsboro Village): Brunch happy hour from 11:00am to 3:00pm includes Bloody Marys and mimosas for$3.95. "Beer of the Week," available all day every day, includes a rotating 22-ounce domestic beer for $4 and a craft lager for $4.50. Double Dogs (Sylvan Park): Brunch happy hour from 11:00am to 3:00pm includes Bloody Marys and mimosas for$3.95. "Beer of the Week," available all day every day, includes a rotating 22-ounce domestic beer for $4 and a craft lager for $4.50. Frisky Frog’s: Brunch from 10:00am to 2:00pm includes $15 bottomless mimosas and Bloody Marys. Germantown Cafè: Happy Hour from 3pm to 7pm in bar includes $5 cocktail and appetizer specials as well as $2.50 to $4 seasonal beer selection. Germantown Pub: Happy Hour from 11:00am to 3:00pm includes $4 mimosas and $4 Bloody Marys. Big 10 Football specials include $8 draft pitchers of Bud Light and Coors Banquet and $3 Big 10 shots. Every Big 10 game will be showing! Hathorne: Happy hour from 5:00pm to 6:30pm includes $1 off wines by the glass, $1 off draft beer, and a $9 rotating signature cocktail. Joyful Hour from 10:00pm to 11:30pm includes $1 off wines by the glass and $1 off draft beer. Henrietta Red: Happy hour from 5:00pm to 6:30pm includes $2 oysters, $5 cava, and $6 gimlet cocktails. Hi-Fi Clyde’s: Brunch happy hour from 10:00am to 4:00pm includes $3 mimosas, $4 Bloody Marys, and $5 brunch punch. Hopsmith Tavern: Happy hour from 9:00am to 3:00pm includes 2-for-1 bottles of champagne. Kay Bob’s Grille & Ale: Happy Hour all day featuring 2-for-1 pints ($6 minimum) and pitchers. 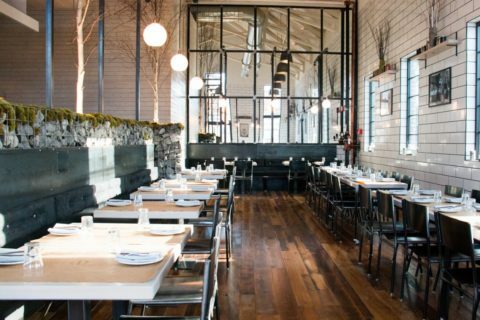 M.L.Rose Melrose: From 10:00am to 2:00pm, get 2-for-1 brunch drinks including select cocktails, draft beer, and wine. 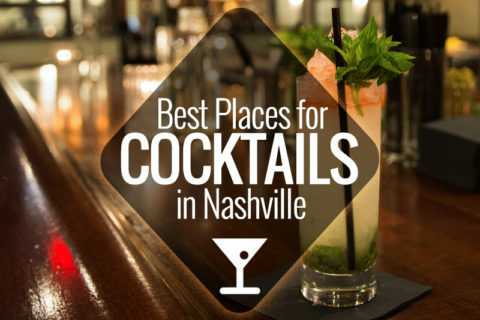 M.L.Rose Sylvan Park: From 10:00am to 2:00pm, get 2-for-1 brunch drinks including select cocktails, draft beer, and wine.  McCabe Pub: Happy hour from 2:00pm to 4:30pm and 9:00pm to 11:00pm includes $1 off long necks and drafts. Get $5 well drinks all day! 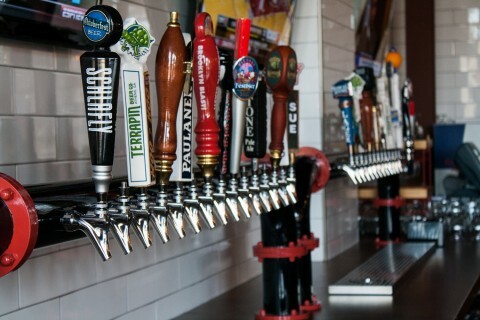 Mellow Mushroom (Midtown): Nashville Lager craft drafts are $3 all day. Miel: Happy hour from 5:30pm to 6:30pm includes $5 select wine and $5 select rocks cocktails. Park Cafe: Happy hour from 4:30pm to 6:00pm includes $6 select specialty cocktails, $6 select red and white house wines, and $4 select draft beers. Saltine: Happy hour from 11:00am to 6:00pm (in the bar area) includes $2 domestics, $5 house wines, $5 Old Fashioneds, $5 frozen whiskey + coke, $5 daily punch, $5 fromosas, $1.50 Gulf oysters, and $5 select appetizers. Taco Mamacita: Brunch from 10:00am to 3:00pm with $4 Mimosas and $4 Bloody Marys. Tavern: Brunch happy hour from 10:00am to 3:00pm includes 2-for-1 brunch libations. The Ainsworth: Brunch happy hour from 10:00am to 2:00pm includes $1 mimosas and $1 Bloody Marys. Bud Light drafts are $3 all day. 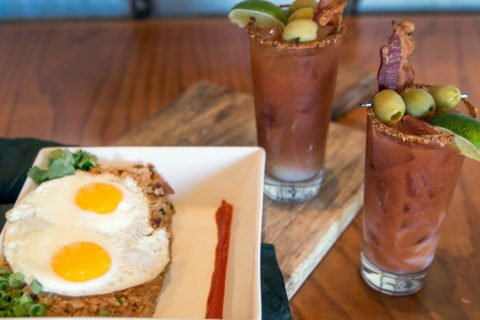 Urban Cookhouse: Happy hour from 10:00am to noon includes 2-for-1 mimosas and bloody marys. 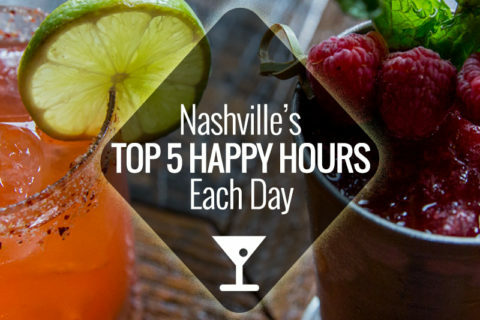 NOTE: We do our best to keep up with the 800+ businesses on Nashville Guru, but happy hours often change without notice or are void for special events, so we encourage you to always call ahead.